Rocket Raccoon is a superhero character in the comic books Guardians of the Galaxy by Marvel Comics. The comic were created by Bill Mantlo and Keith Giffen. 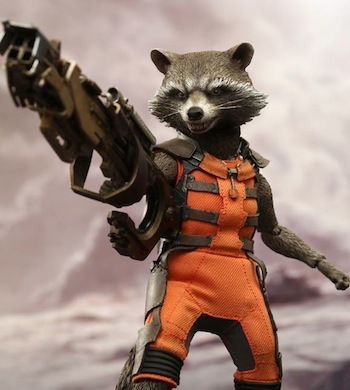 Rocket Raccoon is an expert marksman, master tactician, intelligent and anthropomorphic. Rocket Raccoon is one of the superhero team in the Guardians of the Galaxy. 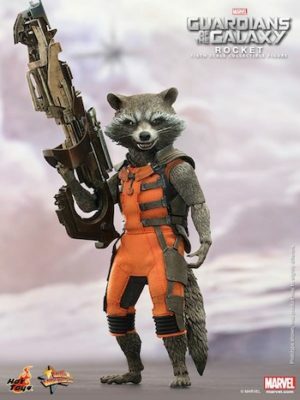 In the 2014 live action film, Rocket Raccoon is voiced by Bradley Cooper. You can dress up like Rocket Raccoon and here are some Halloween Costumes/masks. 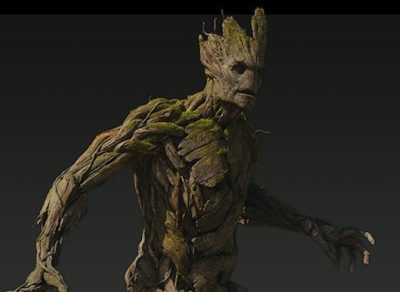 Rocket the Raccoon also worked with Groot, Gamora, Star Lord and Drax the Destroyer. They make a great team, when they are fighting together. Click here for more Guardians of the Galaxy costume ideas.